Want the insider info on what’s happening at Happen? Want to know the thoughts behind ‘that’ feature or process? Want to know how to get the best out of Jim2 and how others use it? Want some business tips and how to implement them? That’s what Happen Insights is all about, a regular blog to help you get the most out of Jim2 Business Engine. Ultimately, helping you to learn about new features, and say hello to existing ones. Extracting and chasing payment from customers can certainly be difficult. Jim2 has a number of built-in features to help, and there are many simple solutions you can put into practice to get paid faster. One of the best ways to get paid quicker is to make it easy for customers to pay you by providing a range of suitable payment options. 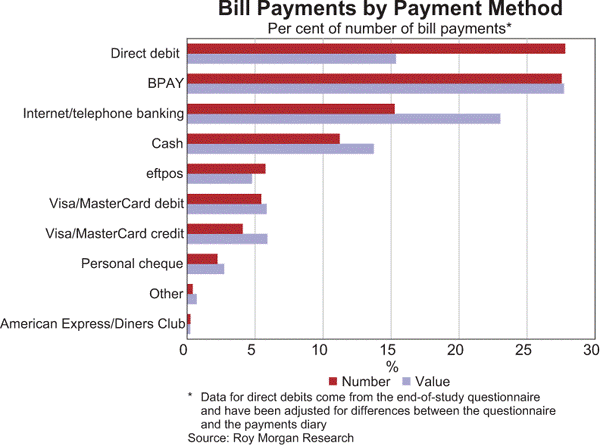 EFT payments are by far the most popular payment options used by customers today. To receive EFT payments, ensure you include your bank details on all invoices and statements, making it easy for customers to find your payment details. Bonus insight: Why not check your bank statement online each day and bank payments directly into your bank account, bypassing Jim2's Bank Deposits (the Piggy Bank icon). For regular payments or payments related to service contracts, you may want to consider directly debiting your customer’s bank account via Jim2’s Electronic Payments feature. Jim2 makes it easy by creating an Australian Banking Association (ABA) file for you to upload to your banking website. Talk to your banking institution to set up direct debit payments with your customers. Search Electronic Payments in the Jim2 Help File to set up direct debits for your debtors. Bonus insight: Billing a contract monthly? Why not make payment via Direct Debit part of the contract terms? You may already accept EFTPOS payments, but you can speed things up and make less errors by integrating your EFTPOS terminal with Jim2. Convert workstations into a point of sale outlet with complete Retail functionality and till reconciliation*. We’ve teamed up with PC-EFTPOS and Tyro Payments to streamline and integrate Jim2 with EFTPOS interaction for a fast and accurate customer purchase experience. Bonus insight: Jim2 prints the EFTPOS receipt on the actual invoice. This not only makes you look professional but saves you having to staple it to the invoice! You may not be aware, but Jim2 fully supports BPay. Include your BPay biller code on customer invoices for convenient payment by your clients. To include your BPay number on invoices, search BPay in the Jim2 Online Help File. Jim2 enables you to take control and save time moving clients on credit hold and off credit hold, automatically. You also have the added flexibility to include a few days grace period before your clients are automatically placed on credit hold if you wish. Once overdue payments are received, the automatic setting will instantly move your customer off credit hold, ready to purchase once again. While you can still manage specific customers manually, auto credit hold saves hours of your time spent monitoring and managing your customers. Real-life Insight: There is a certain vendor in the IT industry starting with I, ok, it's Ingram Micro, who puts customers on automatic credit hold if they haven’t paid their account by the 15th of each month. Once Ingram Micro receive the bill payment, they proceed to ship the purchased goods. Once customers become aware that they will automatically be placed on credit hold when their payment is not received by a particular date, like Ingram Micro, you’ll quickly find your customers will pay on time. You may not be aware that Jim2 has a very nice debtor account fee feature. You can add a specific percentage to all invoices as an account fee, say 5%, so a $100 invoice becomes $105. You can use this feature to create an incentive for customers to pay on time. Advise your customer that if they pay by the invoice due date to subtract the account fee, as once the due date has passed, the invoiced total including the account fee is due to be paid. You’ll find customers either pay on time, or pay the additional late fee when they pay after the due date. If payment is made on time, Jim2 will automatically remove the account fee during payment entry so you don’t even need to think about manual workarounds. Account fees are set at a CardFile level, so maybe set it up for your consistently late payers. Bonus insight: We have seen customers collecting upwards of $1,000 per month in account fees using this process. That’s $12,000 per year straight up profit, and as an added bonus, customers that don’t want to pay the fee, pay on time. Account Fees are linked to a specific GL account, so you can easily check out totals via Business Analysis or Dashboards to see how much income is generated. Bonus insight: Don’t think you could get away with charging an account fee? Why not start with new customers and add it to your account application form. Follow up: Make use of debtor’s notes and set follow up reminders to assist debt collection. A note’s follow up date will turn red, indicating when it's due in your debtor’s list. Apart from having a history of payment related discussions, you’ll find if you chase again on the agreed ‘payment promised’ date, the customer might get the hint and start paying on time. We hope these insights have given you some new and effective ideas to introduce to your business. Support page found on the Happen website. Plus additional training with a Business Analyst, conducted over the web or onsite. Customers can arrange training sessions by contacting their Account Manager today to book a time. Training Fees apply. We’d love your feedback as to any topics you wish to see in future editions. Please let us know by commenting on this article in the comments section below. We look forward to talking more Happen Insights with you soon. *Retail Option required to perform this function. Contact your account manager for more information. **Charges apply to complex enquiries escalated to phone support. Very timely. I have just finished preparing a company discussion paper that covers most of these topics. It's great that Jim2 can automate Stop-Credit and apply Account Fees for overdue accounts. We're pleased to have helped with our very first Happen Insights Matthew!